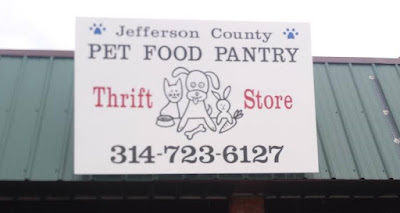 Jefferson County Pet Food Pantry : TONIGHT!! 1 Year Thrift Store Anniversary Party!! TONIGHT!! 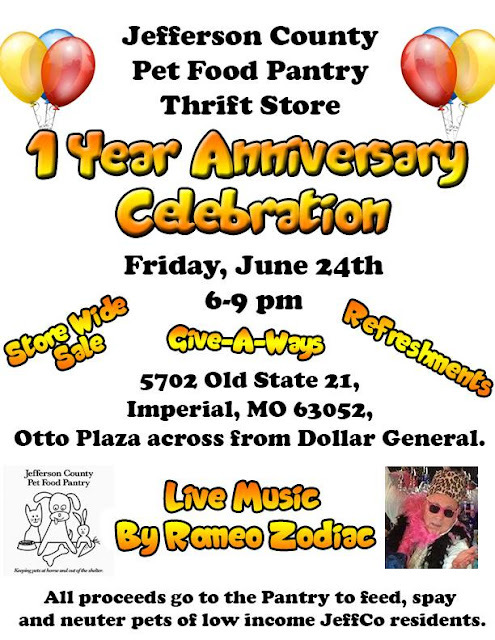 1 Year Thrift Store Anniversary Party!! It's been a year since we opened the thrift store. We want to show our appreciation to our customers, volunteers and everyone who has supported us by having a big celebration. Store-wide sale, refreshments (adult and kids), give-a-ways and LIVE music by Romeo Zodiac ! !